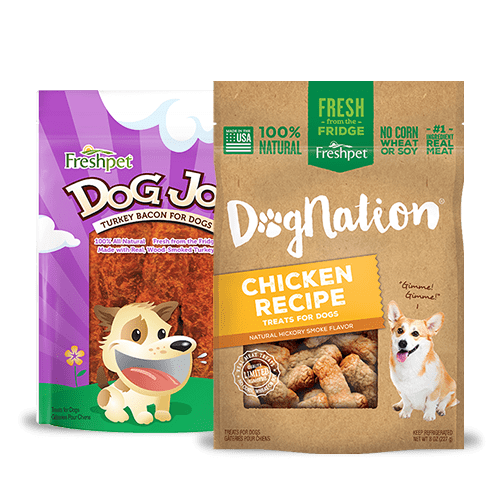 We recently invited our friend Jonathan of Bark & Co., to our Freshpet Kitchens for the first time to get an inside look at how we make our foods. Jonathan has been researching which dog food to choose for his new pug Noodle. 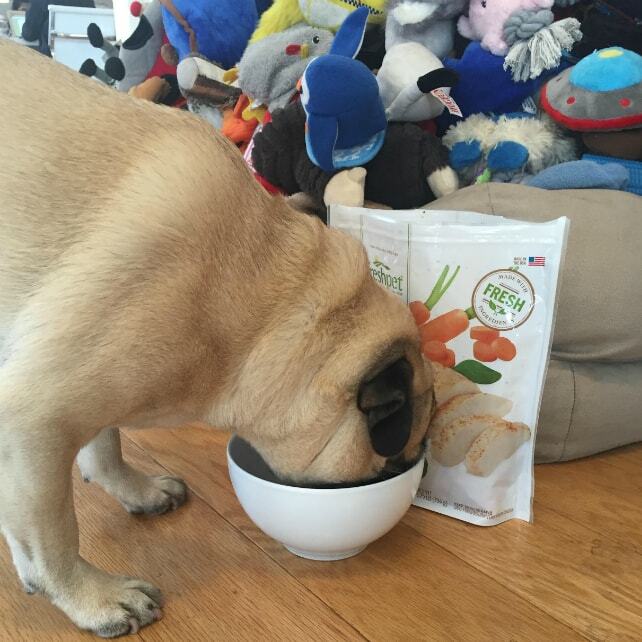 And since he's a proud new dog dad, we were extra excited to introduce him to our fresh and all natural foods. 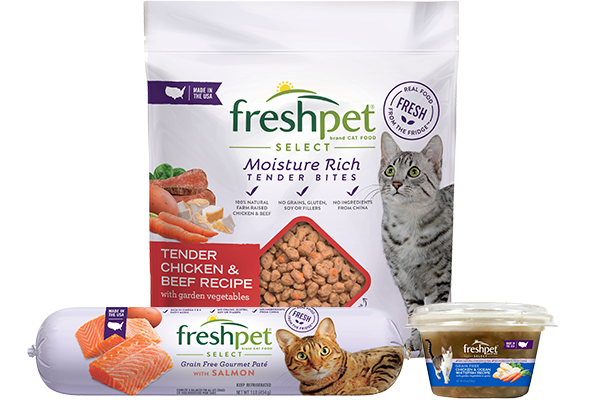 At Freshpet, we’re dedicated to making deliciously fresh meals for cats and dogs. 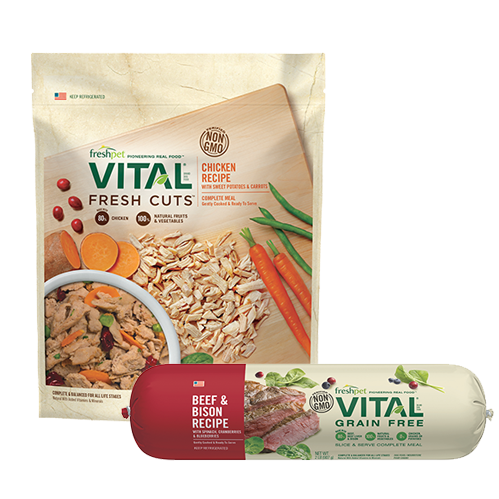 Since crafting healthy recipes for pets to enjoy is important to us, quality and safety take the forefront at our Kitchens in Bethlehem, Pennsylvania. So we brought Jonathan through the whole process from beginning to end. From how we keep our Kitchens in tip top shape every day, to how we test it all in our quality lab. Watch the video below to see the tour! 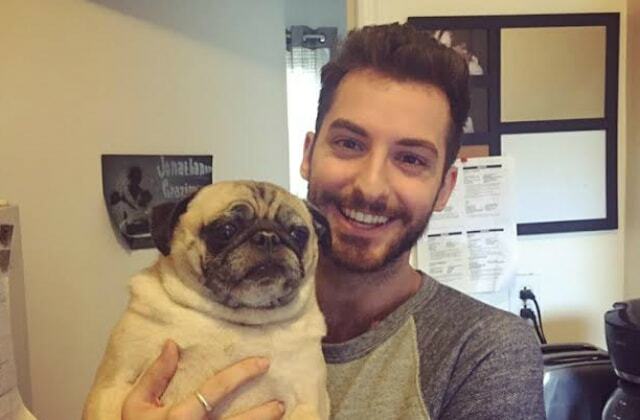 https://youtu.be/9PhKCAlK4YQ When Jonathan returned home, Noodle finally had a chance to try Freshpet! The verdict? Jonathan reports: "...never have I seen him inhale anything like he did his Freshpet food! I fed him a quarter cup in the morning and then again at night, and almost immediately (read: like a week or two) I noticed how much shinier his coat was and how he would climb up the two stairs to our apartment!" Here's how we make our recipes fresh every day at the Freshpet Kitchens. This video was Great! It shows just how Good for our furry babies your products are. My boy, Snoop Dog, as been ENJOYING your food for some time now. I have just started Switching it up for him (I used to buy only the log @ easier/less expensive for me) Now that he is 12, I decided to Really spoil him. I am buying the bagged foods :) The refrigerated bag foods (as I just saw in my ShopRite you have dry food... wish I knew that a while back @ he used to like dry food... Now he only likes Freshpet moist/refridge products) Oh well he's worth it! AND Freshpet IS Worth it! I love the smell. I love the ease. I love the fact 100% is USA product that goes into your foods!!! I appreciate YOU care for my babies . Thank You! And please tell Jonathan CONGRATULATIONS on adopting Noodles! Noodles will give him Many Years of Love ! Nothing better than having 4 legged babies in your life! Thank You Freshpet!!!! I loved watching the video of the process. I also want to thank you for the food that you have delivered to some greyhound rescue groups. They so appreciate it. Of course we feed Freshpet at this home to our greyhound and afghan. 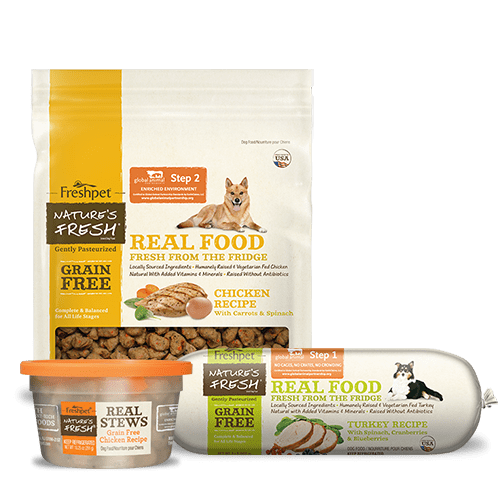 My dogs love fresh pet food, and they are very picky eaters. Thanks for making such a great product that is so well made for are loved doggies. I only feed my dog freshpet. Was just wondering if you could add more veggies to the mix. I have a female long hair Chihuahua that absolutely loves Freshpet. She runs and jumps while I prepare her dinner. Very interesting. 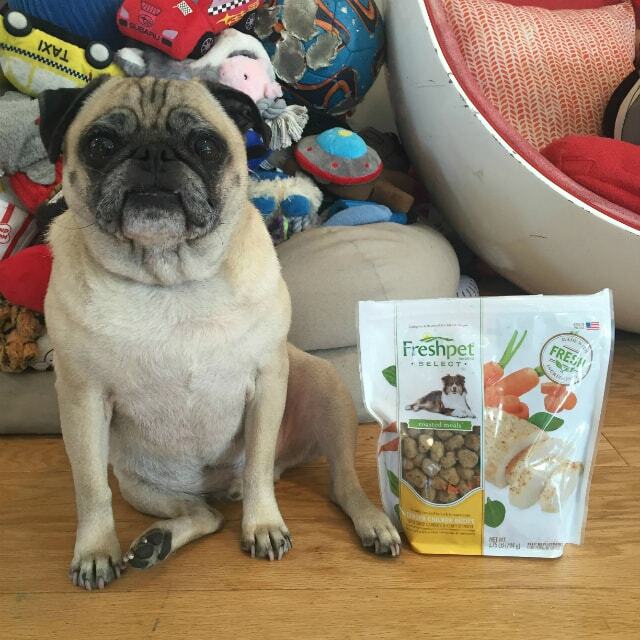 My dog Rocky eats Freshpet every day! My three Chihuahuas love your food. My oldest chihuahua who does not like dry food simply loves your dry food. I wish I could find it in more stores. Right now I can only find it at target stores in the St. Petersburg, Florida area. Keep up the good work! Recently I had a pet shop owner tell me about feeding my dog raw food. He gave me a sample package. My dog wouldn't eat it. I put his fresh pet on the floor in another bowl & he ate every crumb then licked the bowl. Thank you for making a food that my dog loves. Freshpet is wonderful. It's easy to feed, my dog loves it and nutritionally it's better utilized which means less mess to clean up. Anybody still feeding grain based kibble needs to rethink their pets needs. I have an English bulldog with terrible seizures. He takes five meds four times aday. The only way I can get the meds into him is to put it into your Freshpet beef food. I then roll it into a small meatball and he eats it pills and all. Thank you for making such a good product and one that he loves. It does cost us alot of money but he's worth it and so is your product. Thanks again. I think that the food is better and prepared more sanitary than most human food plants. My Gizmo loves his freshpet. 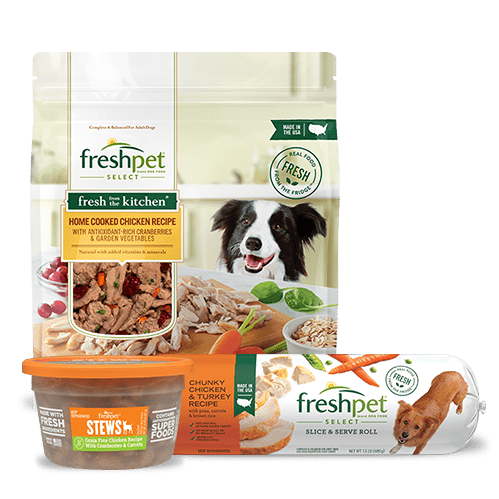 I have responded more than once how much my Shih-Tzu loves Freshpet. She will soon be 17 years old and until I found Freshpet I was constantly buying and trying different dog foods. She loves her food now and I love the ease of fixing it for her. I feel it is the best dog food ever!!! I feel it has contributed to her health as she is in good health. My dog, Rascal, loves your food. 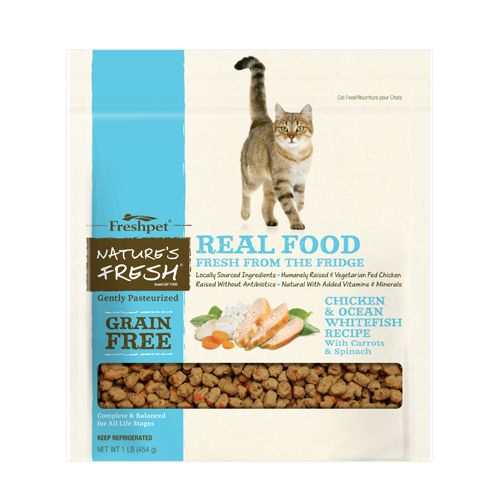 He is a very picky eater and I know that he will eat Freshpet food. Thank you for making something natural and healthy; and making it in the United States. Insightful, informative and a fun video of the makings of Freshpet food. I have one of the most pickiest eaters known to man. "Joy" eats her food now with gusto and doesn't leave a single particle in her bowl. "Ollie" is setting records for inhaling his portion. Impressive all around, I'm sold! I love the video! It's entertaining and informative. 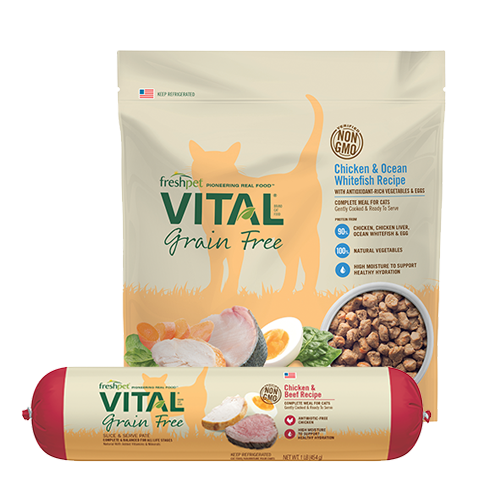 I have been researching new grain free foods for my tribe and I cannot wait to have my puppy and kitties try some Fresh pet. Thank you for making a healthy alternative to the grain based animal foods.